This one has been on the stocks for a long time and it took some explaining to Hounslow Highways that this important route off the Great West Road needs more attention. Together with Ruth Cadbury MP and on behalf of residents and other users, a new road surface has been pursued for the past year and it is about to happen. 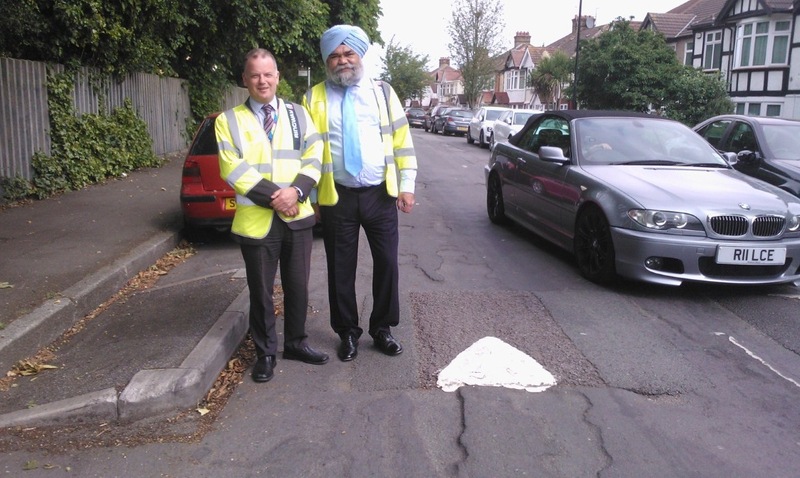 An on site visit with Hounslow Highways chief, Rob Gillespie and Network Manager, Satbir Gill in June 2015 has resulted in resurfacing works now planned to commence on 12 October 2015 taking about a week. However, there was some confusion locally because the letter sent to residents informing them of the works (dated 24.8.2015 but delivered 9.9.2015) stated that the works would start on 10 September 2015. This has now been cleared up and new letters are being sent out to confirm the correct start date. 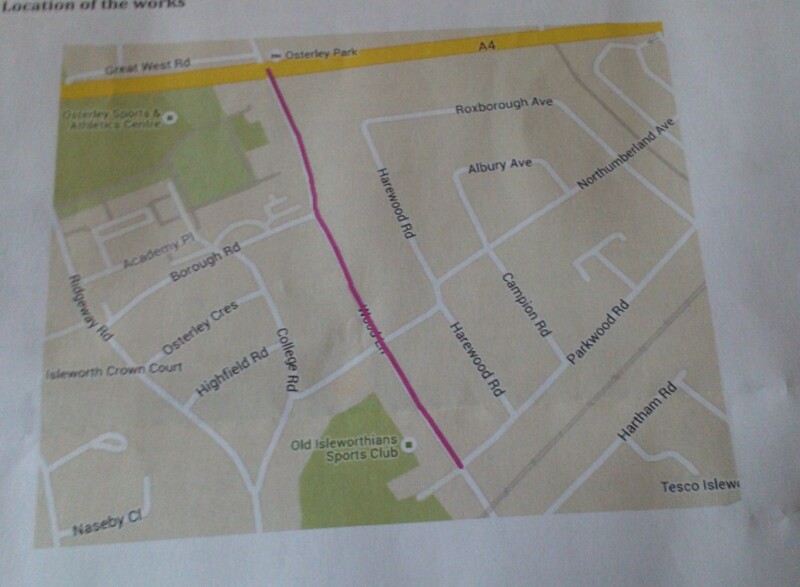 Despite the errors, it is good to see Hounslow Highways’ positive response on this matter, their efforts to improve communication and to continue to maintain Osterley and Spring Grove Ward’s roads.